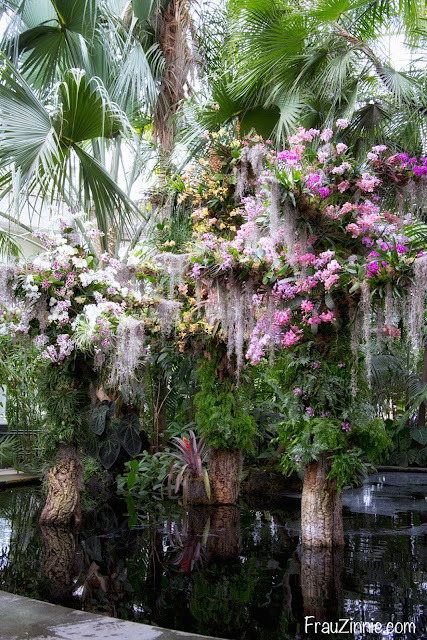 BRONX, N.Y. - Upon entering the final room at this year's 14th annual New York Botanical Garden's Orchid Show, attendees will come face-to-face with a towering mountain, covered in - what else - but orchids. Thousands of them. 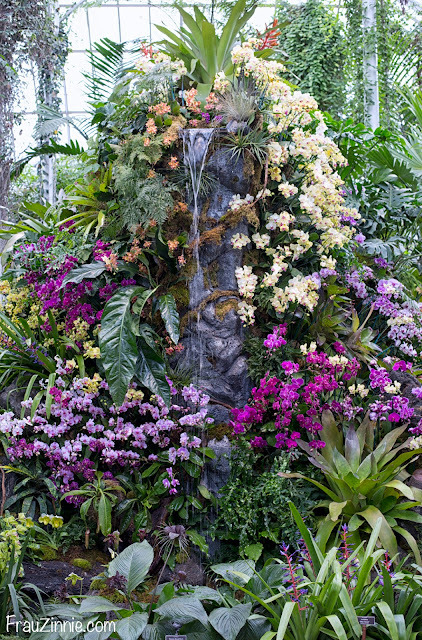 Based on an original Victorian-era rendering of a waterfall showcasing orchids displayed in a glass greenhouse, this man-made mountain is created not with stones. Its "bones" are made with four-by-four steel foot cubes and lots of chicken wire. "It looks like the mountain in the picture, but on a grander scale," said Christian Primeau, the conservatory manager who designed the show. The original drawing was of a five to six foot mountain covered in ferns and orchids. This year's team worked 13 hour days for two weeks to create the ambitious design. This year's show is "an homage to those people who gave up their lives so we could enjoy these plants," he said. "This is our centerpiece." The stunning creation even has a waterfall. The orchids in the NYGB mountain are wrapped by hand in moss, and there's a secret access door to get inside the mountain to water them. The "mountain" on display at this year's NYBG orchid show. "Orchidelirium," this year's theme of the orchid show, is based on the grandeur and popularity orchids had back in Victorian times (mid-1830s to early 1900s). This craze was the foundation of our modern fascination with the plant, according to Marc Hachadourian, curator of the orchid collection for The New York Botanical Garden. Orchid hunters (or collectors) would set out to explore uncharted terrain and bring back their findings to Victorian England, where collectors amassed massive collections of plants for display. In that time, living objects displayed in the home were a way to display a person's status and importance, said Hachadourian. "This status symbol drove the fever of the day," he said. "Once these people realized that there was a great horticultural wealth out there, they would literally send collectors to the edges of the earth to bring back the newest, and the rarest, and the most unusual plants, one for bragging rights, but two also because the beauty of the blooms themselves," said Hachadourian. Orchid plants would sell for "tens of thousands" of dollars for a single plant in that time. The orchid hunters would often supply orchids to one of the two famous nurseries of the day: Sanders and Sons or Veitch Nursery, who were fiercely competitive with each other. 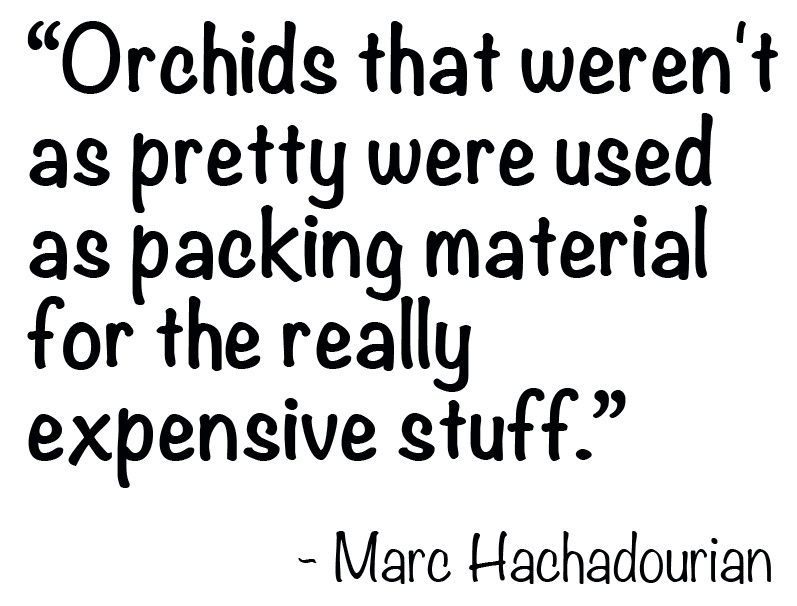 Orchid hunters would "spend months at sea, traveling through jungles where there are no paths, up and down mountains, trying to find what you didn't even know might be there," Hachadourian explained. But succeeding in finding rare orchids could bring the collector - and the people who sponsored the trips - fame and fortune. Many orchid species were discovered in the wild, but it took over a hundred years to rediscover them in the wild, according to Hachadourian. This was because the hunters lied about where they originated in order to keep other collectors away. There were even cases where orchid collectors would torch the land after harvesting the plants so no one else could claim them. While this technique is no longer viewed as ethical today, for the Victorian-era hunters, orchids were in such abundance that the plants' supply seemed limitless. 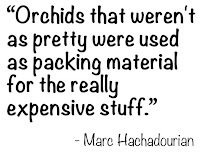 "There are shipments that are recorded of over a million and a half plants collected ... orchids that weren't as pretty were used as packing material for the really expensive stuff. That's the types of quantity that they were collecting at the time, and that they used them like we use packing peanuts or newspaper because there were so many, you just didn't know what to do with them." This orchid craze is different than the tulip mania that spread across Amsterdam in the 1600s. "The tulip craze was driven by money," said Hachadourian. The tulip craze was a speculative market, which is still studied by economic students today. "The Victorian orchid craze was more about obsessive plant people trying to get as many [orchids] as they can. There was a definite competitive angle," he said. Lady slipper orchids at the show. Orchidelirium tells the story of how the orchid made its way from the wilds into cultivation. The show begins upon entering the Enid A. Haupt Conservatory to view a large-scale display of orchids in man-made trees, to illustrate how orchids originated from the wild to cultivation over thousands of years. Orchids are epiphytes and most grow on the branches of trees in the tropics. They can be found all over the world (except Antarctica), with 30,000 natural occurring species. (In the United States, Florida is the state with the largest number of native orchids, followed by Alaska, then New York and New Jersey.) There are over 150,000 man made hybrids. 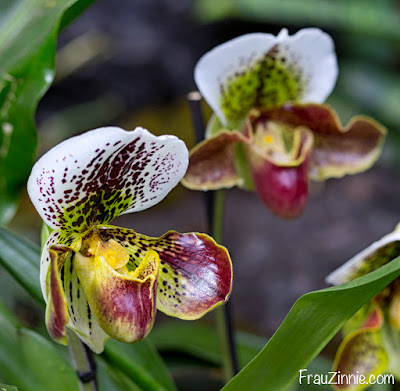 "Orchids are the perfect group to talk about all the different things we do here at The New York Botanical Garden ... because they are such a very charismatic and popular group of plants," said Hachadourian. "They are the pandas of the plant world. 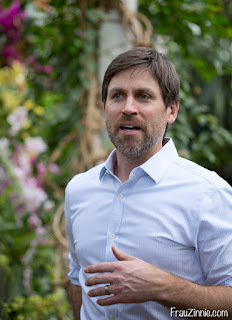 Everyone kinda loves and enjoys them, we can bring people in and lure them with the beauty of flowers but then also teach them so much more about what we do here." This year's show took two and half weeks to install, a process Mark refers to as "horticultural theater," which includes the creation, design and installation of the exhibition through the combined efforts from the horticultural, science, interpretative and library staff. "The character of each one of my staff members is actually reflected in certain moments in the display," said Primeau. "I hope people will find the moments that appeal to them," he said. "Either through the intense colors or the delicate colors - I hope they find something that they can grab on to and .... find something that will spark that same passion in them as well." Visitors can see how orchids grow in the wild, similar to how Victorian-era explorers first encountered them in their travels through the tropical habitats around the world. 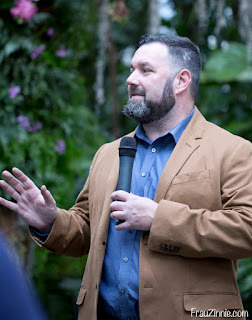 To create the exhibit, NYBG horticulturalists assembled thousands of orchids from their research collections (which totals over 7,000 plants) as well as growers from across the country, according to the NYBG. "Orchid cultivation is nothing really new," said Hachadourian, citing evidence of orchid cultivation as far back as Confucius' time. 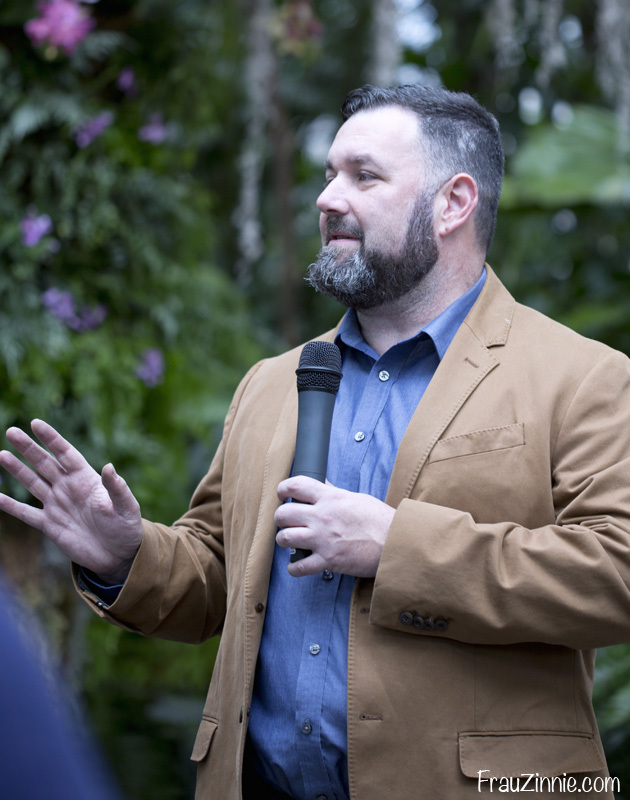 Victorian-era orchid hunters would bring back fantastic tales from their journeys, which helped spur a huge renaissance in natural history during that time period, he said. "The Victorians really started the modern orchid craze - even still as it continues today." To view pictures from this year's show, click here. depict how orchids grow in the tropics. Orchidelirium runs through April 17, 2016 in the Enid A. Haupt Conservatory at The New York Botanical Garden. To learn more about admission pricing and hours, click here. Orchid Evenings pair nighttime cocktails with Orchidelirium. To learn more, click here. To learn more about Charles Darwin's orchid and the moth with the 30 cm tongue to pollinate it, click here. The orchid show began 14 years ago, highlighting the importance of plant biodiversity, the importance of plant conservation and to show off the beauty of the plants themselves. 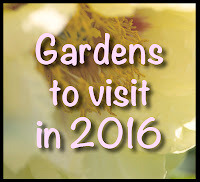 To read coverage of last year's NYBG Orchid Show, click here. View the photo slideshow here. To read growing tips on orchids, click here. To learn more about native orchids, click here. The New York Botanical Garden is the first garden featured in Frau Zinnie's new series, Gardens to Visit in 2016. Look for more exciting suggestions coming soon!